ECM / ECU / PCM / BCM Electronic Control Module Repair, Exchange, Performance & Custom Tuning Programming. They get it half done...WE GET IT ALL DONE! NOW PROGRAMMING 2010, 2011 & 2012 -2013 -2014 -2018 MODELS !! Welcome to www,autocomputerperformance.com your one-stop shop for Plug and Play ECM / ECU / PCM Electronic Controllers, Engine Computer Controllers, Transmission & Body Controllers offering a full line of services including a Ecu Repair Division, a rebuilt Exchange Service and a Programming Division that provides authorized OEM Factory Programming, Performance Programming & Custom Tuning Services for the following manufacturers and many more. AUTO COMPUTER PERFORMANCE is comprised of a background of ASE Certified Master Technician, Auto Electronics Engineer, Computer Scientist & quite possibly the most knowlegable and friendly staff. Incorporating practical experience, two decades of automotive electronic diagnostics and repair, with 15 years in business specializing in Electronic Engine Controller repair, supply and Programming Services. We can not only rebuild, repair and reprogram your vehicle's computer to factory specs, but we can also add horsepower and torque, improve MPG and/or increase towing efficiency on your F-Series (gas or diesel), Ram truck (gas or diesel), Silverado/Sierra (gas or diesel), Dakota, Grand Cherokee, Durango, Explorer, Expedition and many more. We also have programs available for late model HEMI engines (5.7L and 6.1L) as well as 6 cylinder engines for your Challenger, Charger, Magnum, 300 and even Wrangler. Ask us about our preset or custom tunes for your Mustang, Camaro, Corvette, GTO and dozens of others. We can provide the extra power and efficiency you need without making you purchase any additional hardware. Or, for even more control over your ride, we can supply the actual programming equipment, allowing you adjust every programmable aspect to acheive the perfect balance of performance and effeciency for your application. Please see our Manufacturer pages for more details on enhancements available for your particular application. We can remove/disable factory security software (no more chip keys!!). We can program your unit on the bench. 98.5% of units ship Plug & Play. We can build custom application PCM & ECMs, hardware & software. We Have Most PCMs & ECMs In stock or 1-3 day for back order. We Can Rebuild Your ECU, PCM & ECM. EMAIL LINK FOR SALES/SUPPORT TEAM - CLICK ME !! 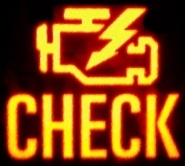 For your convenience we have added a link to our friends at DiagnosticHotline.com They have professional technicians with ASE certification standing by to assist you with your hard to find diagnostic problems. They have many techs and offer professional diagnostics for GM family, Ford Family, and Chrysler Family of cars and light trucks. If help needed in GM or Chevy products ask for our good friend Peter. Tell him Scotty and the guys from Auto Computer Performance sent you!